Beats by Dr. Dre or simply called Beats is a premium audio brand established in 2006. From then until now, they have introduced 3 generations of headphones and earphones that are very well received worldwide. ‘People aren’t hearing all the music’ is a statement by the company and it also expresses its commitment to producing the best audio experience for you. You know the brand and quality is outstanding when Apple Inc has bought it for USD 3 Billion in 2014. Here, we’ll show you some of their headphones and earphones so you may compare the different models before treating yourself to greatness. Designed for party use, this limited edition headphone is perfect for DJs because it gives you loud and clear hearing even over a noisy party ambiance. Being ultra-lightweight and loud, it is also ideal for the true music enthusiast. The ear cups can swivel behind the ears and rotate back for noise isolation, which is super convenient for parties. This durable headphone also comes with a foldable headband so you can easily take it to the next party! Designed by the legendary Beats Studio, this wireless headphone comes in limited edition colors. Boasting sonic clarity and deep bass, the Monster also has awesome noise-cancelling effects. Combining the technology of large speaker drivers and a high powered digital amplifier and coming in a nifty carry-case, it will be your best companion for traveling. This wireless headphone gives you freedom of mobility along with great sound quality. You can conveniently control your music with the buttons on the ear cup if you want to jump to another track. With 10 hours of battery life, you can spend the whole day out and about without worrying about charging it. You can also plug in the cable (provided) anytime you wish to charge or not use the wireless feature. Built with user comfort and style in mind, the Solo HD comes with a reinforced metal strip and a clear coat finishing. The inbuilt microphone allows you to take calls too, especially in an office environment when you need clarity. The Solo HD comes with a carry case and is lightweight, no reason not to bring it to and fro office daily. Now it’s all about convenience and mobility. The Solo3 gives you just that with up to 40 hours of battery life which means that charging is something you need not worry about, but if you do, you’d be pleased to know that a 5-minute charge will give you 3 hours of playback. Delivering premium playback with fine-tuned acoustics that maximizes clarity, its ear cups are well padded to give you extreme comfort for those long hours of enjoyment. Using Bluetooth to connect to your device, you are not restricted to one place, you can now walk and dance about to the beats by Dre. This wireless set of earphones has up to 8 hours of battery life, and a 5 minute charge will get you 2 hours of playback. Coming with great wireless efficiency, the BeatsX fits right in your pocket so you can carry it anywhere you go. This little fella will give you the music in your ears just the way you want it especially with its authentic clear sound with optimized noise isolation. 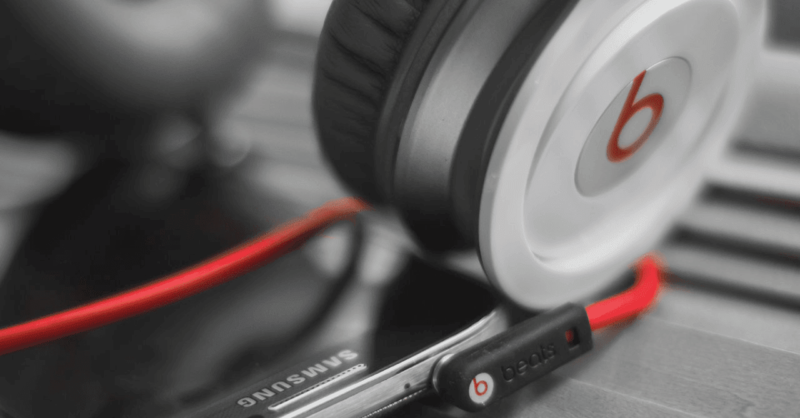 Giving you the deepest bass and ultra-clear midrange, the lightweight urBeats should very well be your daily companion. Its furnishings are designed for durability and the hard chrome means a lasting shine for you. It comes with a microphone too so you may use it as a hands-free device and for video chats/calls on your iPod Touch and iPhone. The Powerbeats3 is your ideal workout mate. This pair of wireless earphones will take your exercise to the next level because it probably has more endurance than you do, the 12-hour battery life will take you through a number of workout sessions. Designed to be sweat and water resistant, the Powerbeats3 will keep you pumped up even in rough weather. Its dynamic stability and high-performance sound is complimented with great ergonomic comfort. Is Redmi Note 7 The Best Budget Phone That You Can Buy Right Now?